I remember the summer my mother started calling everything a salad. Crowds, traffic, the clothes hamper, a pile of buttons. Our family was a little salad, she said. I had never heard anyone talk like that before. I just went with it. She began to cut up all of our food and toss it together on our plates each night at dinner. We barely had to chew anymore. She carried things with giant spoons. We still left our bikes in a salad on the lawn in those days. Nobody was afraid of thieves. They were something far away from where we lived, I thought, like poisonous snakes or diseases that rotted your insides. My mother must not have felt as safe. She was always wrapping everything in plastic. Our clothes, our food, the furniture. She was trying to preserve the ingredients of her little world. I think she secretly knew that everything one day spoils, but she didn’t want to admit she was as powerless as she was. As we all are. That was many years ago and our family looks a lot different now. The people, places, and things that it used to consist of are no longer on the same plate. I go to visit her in the little home where she lives by herself. She looks after her stuff with the same care as she used to look after ours. I think she is keeping it clean for us. I watch her. Her skin gets dry and I buy her lotion at the store. When I look at her, I think of raisins. It makes me sad and hungry for granola. I go back to the store and make my own in their granola bar. I pick out all sorts of ingredients like dried fruits and nuts and candy and sugared oats. I made a great big batch because none of it will go bad for a long time. I bring the plastic container back to her house and share it with her. Her couch is very small and our hips are touching. I watch her pinch little handfuls and bring them to her mouth. She smiles when she sees me watching her. I smile back and touch her wrist. I am waiting for her to call the granola a salad but she never does. I am worried she has forgotten the meaning of the word. Timmy Reed is a writer from Baltimore, Maryland. He has recently published or has work forthcoming from a number of places including Akashic Books, Vol. 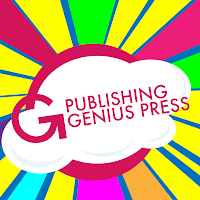 1 Brooklyn, Everyday Genius, Greying Ghost Press, and Alice Blue Review. He edits the What Lit section of What Weekly magazine and recently published a collection of stories, Tell God I Don't Exist. Learn more here.